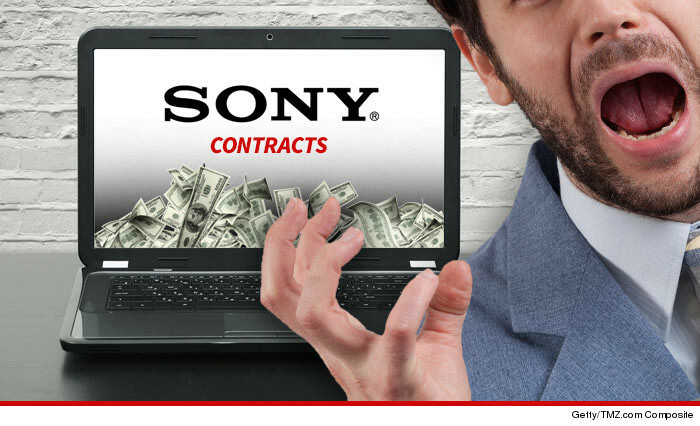 The Sony hacking has made negotiating contracts with stars and suits almost impossible ... TMZ has learned. Sony and other industry sources tell us ... the salary leaks have triggered intense anger ... especially with execs who think they've been screwed because the guy in the next office has a sweeter deal. We're told some execs are furious at the bonus structure they got, because they believed they were top of the heap when they weren't. One source said some contracts have already come up for renewal and "Sony's getting nailed to the wall." Same principle applies to movie and TV stars, who now have comps to use against the studio. Several agents and entertainment lawyers tell TMZ ... they feel totally comfortable using the salary comps, but one Sony exec thinks it's shameful for reps to use stolen information in negotiations. Here's how bad it's gotten. Sony's files have been wiped clean, and we're told the studio is now calling agents and lawyers who represent Sony big wigs, asking them to make copies of deals and proposed contracts that they can send back.